“What do I need to buy a house?” It’s a simple question that real estate agents hear often from first-time homebuyers. The question may be simple, but the answer can get confusing quickly. That’s why it’s especially important for home shopping neophytes to work with a seasoned Denver real estate agent when embarking on one of the biggest investments of their lives. There are several key steps involved in purchasing a home, and it’s easy for first timers home to completely overlook one or more. In this blog, we’ll quickly recap all of the important items that must be checked off your list before you can close on a new home. Of course, there will be additional requirements from your mortgage lender. But, in this article, we’ll just stick to the key factors that pertain to the amount of money you need. If you're not able to buy your home with cash upfront, then you'll need pre-approval on a mortgage. Contact a mortgage lender to discuss the steps involved in obtaining pre-approval. Earnest money is a measure of good faith that is typically paired with a sales contract. This money acts as proof to the seller that you have an "earnest" intent to buy their home. Many down payments range from 3 to 5 percent of the home's sale price. The mortgage lender can help you determine the appropriate down payment. Typically, 1 to 4 percent of the amount of the mortgage loan should be set aside for closing costs. 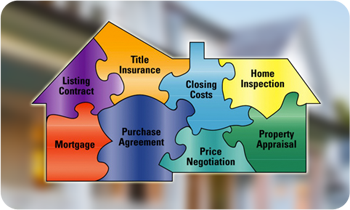 Sometimes closing costs will be negotiated within the sales contract. A home inspection ensures that you are aware of any serious problems within the home before you close on the purchase. An inspector will provide a detailed report on any costly repairs needed. If you’re ready to get started on the steps toward buying a home, contact the Denver real estate experts at the Neir Team!